"I need to buy a sunblock because I am going to the beach this weekend". That was the exact line a good friend of mine said as we were heading for lunch last Monday. I guess there are still a lot of wrong notions in terms of the proper usage of sunblock. If you are not applying sunblock everyday, then this blog is meant for you. You probably think that applying sunblock once a day is enough to battle all the harmful rays of the sun and lights in the office, better think again. Fact is; when you apply sunblock in the morning, it does not mean you are still protected when you go out during lunch time. Sunblock has a prescribed duration depending on the amount of SPF (stands for Sun Protection Factor). So, the higher SPF you wear, the longer it takes for your skin to redden. It would also varies from your race (skin tone) and how sensitive your skin when exposed directly to the sun. What is then the recommendation in applying this God-given product to humanity? Technically, the amount of SPF your sunblock has dictates the amount of time you are protected from the sun. Let's use SPF as an example. When you apply SPF 15, this only means that it would probably take 15 minutes before your skin starts to burn. Comparative to not applying sunblock, it would probably be around 20 minutes. To recap, SPF measures the amount of time your skin burn when exposed to the sun (before your skin starts to darken). It does not dictate the level of protection against UVA (unltraviolet-a) at all. You ofter times read UVA & UVB on the label of your sunblock. How are they different from each other? Both are sun rays but they have a different level of wavelengths. UVA are the longer wavelength from the sun and it penetrates deeper into the skin. This wavelength is the number one nemesis of our skin and is the culprit behind aging. UVB (ultaviolet-b) on the other hand are the shorter wavelength and is most likely the cause of sun burn and skin cancer. How long do I have to wait after applying sunblock? Generally, it takes half an hour for sunblock to work its magic. It is either titanium dioxide or zinc oxide (depends on your product) that will shield your skin from the sun. My foundation has SPF is that good enough? This is never reliable! Sunblock should be applied thoroughly and evenly to the skin. A little dab of foundation here and there will not do the job. And since it is in powder form, it is more difficult to be absorbed by the skin. What is Broad Spectrum? This means that the sunblock will offer protection against UVA & UVB. If your product does not have this, you may not be getting UVA protection. What happens if I don't apply sunblock everyday? Answer is rather simple. Your skin ages faster, you develop premature wrinkles, skin color becomes unever and skin cancer. Which part of my face routine is best to apply sunblock? Sunblock should be the first product you need to apply on your face. It should be the primer. Once dry you can proceed to your make up routine. What's the message of Fierce Blogs? It is never too late to use sunblock everyday! 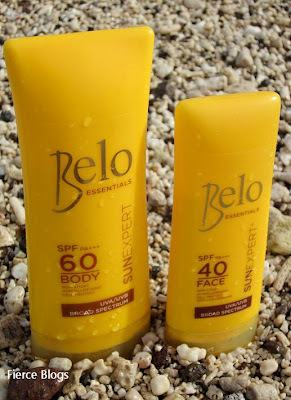 Fierce Blogs recommends Bello Sun Expert Sunblock for everyday use. It protects your skin from UVA & UVB and this sunscreen is broad spectrum. This sunblock also is not greasy and it instantaneously disappears. You do not feel all icky & oily. Your blog site is very informative. Very complete in the lifestyle department. Pleasure reading them. How much is this product? Is it expensive? Wow! Never thought of these things until I read your blog. How much is the product? 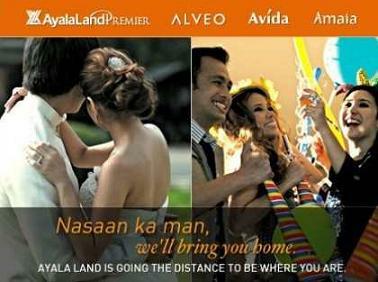 Is it available in beauty bars or just belo? Very nice review. I never step out under the sun without sunblock too. 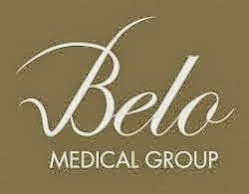 Interesting product from Belo. I'll go check it out. this is really informative and i'm sure it's me you had lunch with that Monday afternoon. i've consumed 3 bottles of this since .. for me, Belo Sunblock for Face is the best sunblock in the market!